A brand is a perception. The Ivy Leagues, eight Northeastern universities with primarily colonial roots, have leveraged that perception to improve the quality of their students and academics as well as increase their endowments. 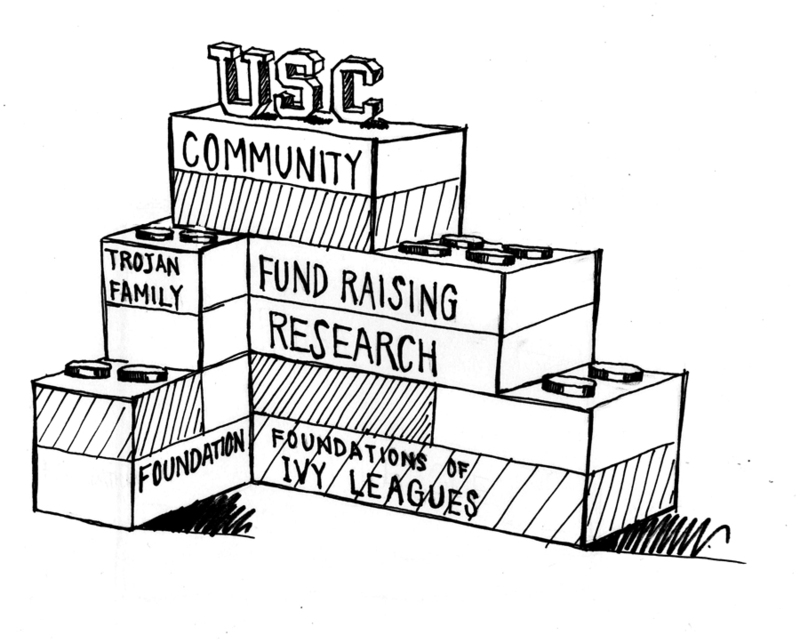 Taking a cue from the academic heavyweights, USC should pursue the same brand perception as Ivy League universities in order to gain the accompanying prestige and benefits. Indeed, changes in the university’s academic selectivity and output over the last few decades have already launched USC toward a more Ivy-like reputation. Most notable has been USC’s rise in national college rankings, a change that is essential in transforming any university. Though every university in the world is unique, the perception of a university and its admissions are intimately linked to its ranking. A 2009 University of Michigan study on the effect of college rankings found that higher rankings have a substantial impact on improving admissions indicators. For example, the study found that moving into the top 50 results in a 3.6 percent decrease in acceptance rate. 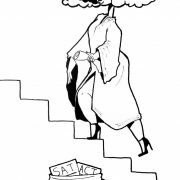 USC’s rise in national and world university rankings grants a certain prestige that the Ivies hold in our culture. At least in rankings, being more like an Ivy has tangible benefits for improving the caliber of applicants. 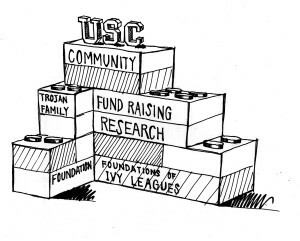 USC can also become more Ivy-like by increasing its endowment, a task already underway. 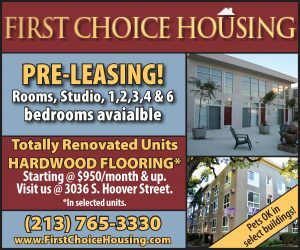 Though the use of the $6 billion the university aims to raise through the Campaign for USC hasn’t formally been allocated, it stands to reason that much of it will be used to increase the endowment of the university. Harvard, Princeton and Yale have endowments between $15 and $30 billion. Currently, USC’s endowment is about $3.5 billion. Should the full amount of the campaign be added to this, the university’s endowment would be the fourth-largest of any university. Amassing such a large wealth gives USC a huge competitive advantage beyond funding research and acquiring faculty. It would also allow the university to add more scholarships and decrease the number of student loans. Another critical piece of the Ivy puzzle is presence in the international community. USC already has a long-standing history of serving international students, but has recently worked to enhance it. There are twice as many incoming international freshmen now than there were a decade ago. Greater geographic diversity — both nationally and internationally — means a wider range of cultures and experiences represented on campus. Though USC can’t become older any faster than other universities, using time-tested systems and methods from other universities will further USC’s national and international image as an Ivy-like university. By continuing to develop the USC brand, higher quality students will come and their contributions and achievements will further improve the value of a USC degree. Rachel Bracker is a junior majoring in print and digital journalism. I disagree with the goal articulated in this article. We should not be focusing on becoming more “Ivy-like” in brand, but on creating an identity that is superior in and of itself. I do not believe that Ivies have leveraged brand to improve quality. Rather, it’s the other way around: their high-quality has led to a powerful brand. 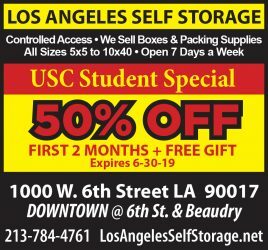 That is how USC can, should, and will improve its brand. Small nit: if the entire campaign total went to the endowment, it would be the fifth largest of any university (after Harvard, Yale, Princeton, and Stanford). That makes little sense anyway, since by 2018 when the campaign finishes, all the endowments that are currently $5-9 billion will be drastically larger. For example, with 15% annual returns (last year, universities averaged about 20%), an $8 billion endowment today will be over $20 billion in 2018. Nikias has explicitly said that the goal is for half ($3 billion) of the campaign to be added to the endowment. That would put the endowment (assuming 15% annual growth) at $12+ billion at the end of the campaign. That seems like a lot now, but all the universities that have at least $5 billion now will have over $13 billion in 2018 under normal growth (inflation matters, too). Don’t forget to take into account that they will be fundraising too. Cornell and Columbia are in huge multi-billion dollar campaigns now, and Harvard is rumored to be in the quiet phase of a campaign that will exceed $6 billion. Basically, even with the campaign, we would be fortunate to exceed competitors’ growth by 2-3 percentage points per year, so it will take far longer to beat them in endowment, on the order of decades. Annual fund raising is generally all expendable. Capital campaigns generally aim to increase the annual giving by 20% to 30% with the hope that that amount is the amount that is endowed. With those rules of thumb, it is likely that , at most, $1.8Bn would be added to permanent endowment.